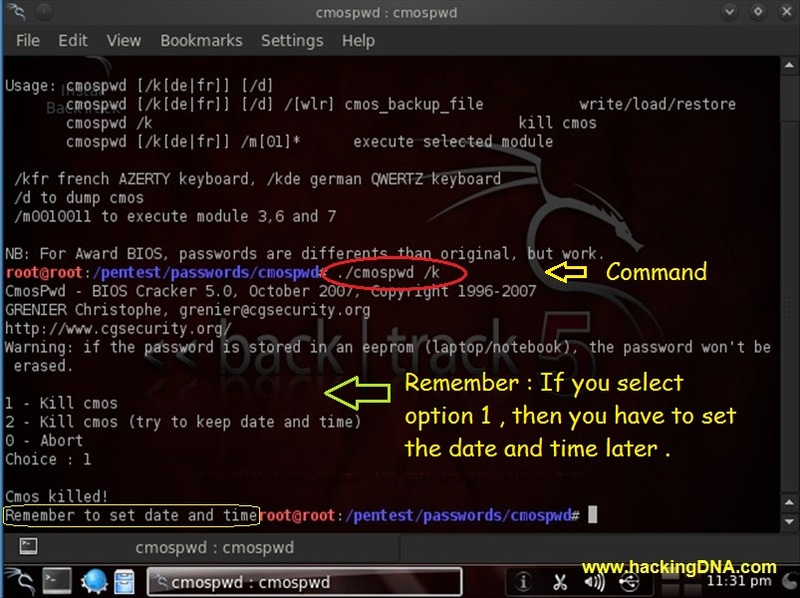 cmospwd is used to crack the BIOS(Basic Input Output System) password . 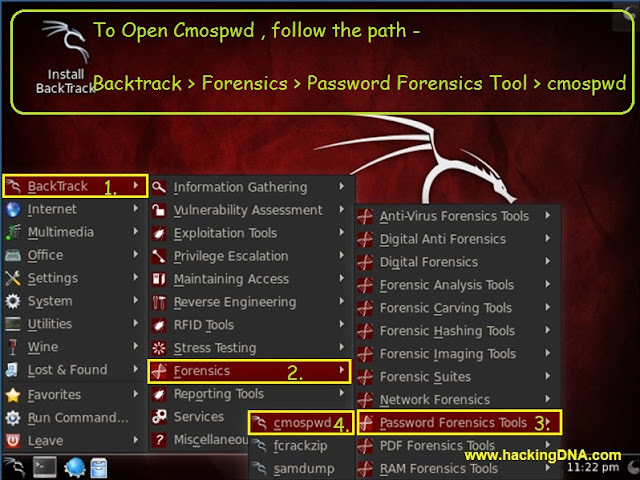 cmospwd is free tool and distributed under GPL . cmospwd is created by " GRINIER Cristophe ". With this tool you can erase/kill ,backup and restore the cmos. The above link shows some instruction related to your eeprom chip .
" Remember to set the date and time " . After killing the Cmos , it will erase your previous time and date setting . So set it again your current time and date , otherwise it will create a problem to connect your browser with internet ( a problem related to time server ) . So , if you face this problem , then the only solution is to set your time and date again either from " time and date settings "or from your system " BIOS " . Option 2 : This is your second option what happen if you select option 2 . Remember that On laptops, the password is usually stored in an eeprom on the motherboard and not in the cmos. 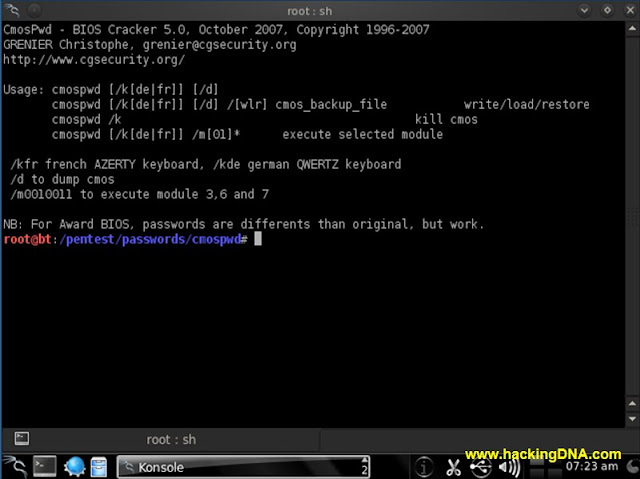 You need an eeprom programmer/eeprom reader (electronic device) to retrieve the password. 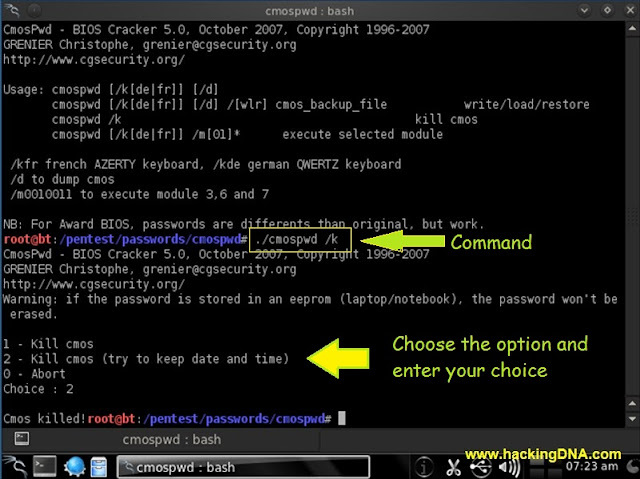 If you erase the cmos (ie. 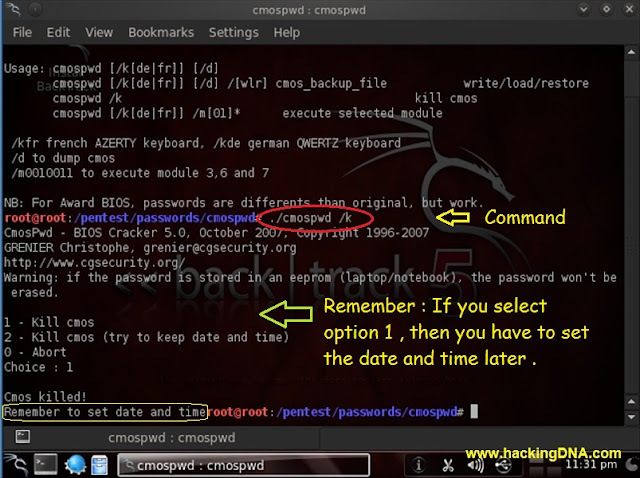 cmospwd /k) and if the password is really stored in an eeprom, you won't be able to boot anymore.. So be careful before using this tool .